Supervised living is a residential-based program offered in a group home setting. Residents who have limited skills receive ongoing training to enable them to move to more independent living. Training provided includies daily living activities, environmental and behavioral strategies, appropriate social skills, health and fitness, community integration, recreation and leisure interests, academic skills including signing, writing, basic math skills, fine and gross motor skills, and independent living skills such as time and money management, transportation training, domestic tasks, problem solving skills, and personal hygiene. Direct care staff strive to be unobtrusive, and positive with each resident. This facility consists of five homes in a culdesac in the community of Alexander, AR. They provide housing to 15 individuals. 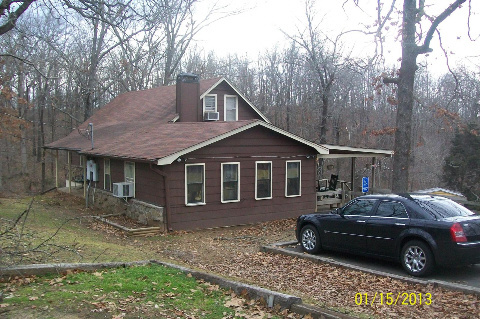 Cave Springs is home to four residents in the small northwestern Arkansas community. The Plaza facility serves 10 co-ed adults and is located in downtown Jacksonville with easy access to city amenities.